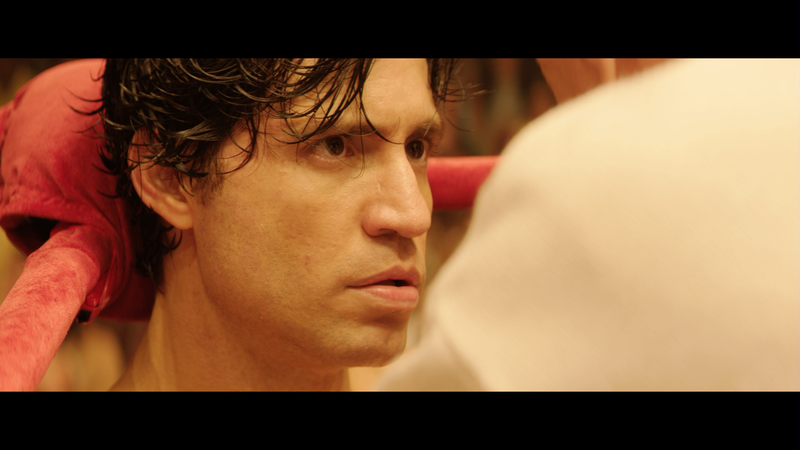 Hands of Stone isn’t a half-bad boxing drama biopic and yet by the end, I wasn’t exactly connected on any level with the story and outside of some nice performances, there’s not much that stands out. 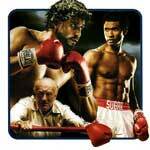 Plot Synopsis: Hands of Stone follows the life of Roberto Durán (EDGAR RAMIREZ), the Panamanian fighter who, with the help of his trainer Ray Arcel (ROBERT DE NIRO), made his professional debut in 1968 as a 16 year old and retired in 2002 at the age of 50. In June 1980, he defeated Sugar Ray Leonard (USHER RAYMOND IV) to capture the WBC welterweight title, but shocked the boxing world by returning to his corner in their November rematch, famously saying (though he denies it) the words “no más” (no more). Quick Hit Review: This is pretty much a paint-by-numbers boxing flick that is perfectly watchable if only for the performances by Edgar Ramirez and Robert De Niro, with honorable mentions to, surprisingly enough, Usher Raymond IV who wasn’t half bad as Sugar Ray Leonard, though his character development is limited with the main focus being Ramirez’s Durán. Written and directed by Jonathan Jakubowicz, I highly doubt I’ll revisit Hands of Stone and would rather watch the 30 for 30 ESPN special on Durán and quitting his second fight versus Leonard; it’s a really fascinating watch. 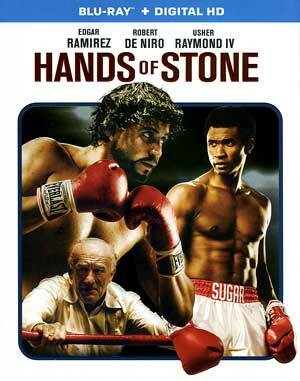 Now, if you generally enjoy boxing films, this one might hit the right spot. This release comes with a matted and embossed slip cover and inside is a Digital HD redemption code. Roberto Durán: A Boxing Legend, a Nation’s Pride (23:33; HD) – This is a semi-lengthy behind-the-scenes featurette and includes interviews with the cast (Edgar Ramirez, Usher Raymond IV, Ana de Armas) and crew (director Jonathan Jakubowicz) as they discuss the story behind the boxer and what he meant to his country. 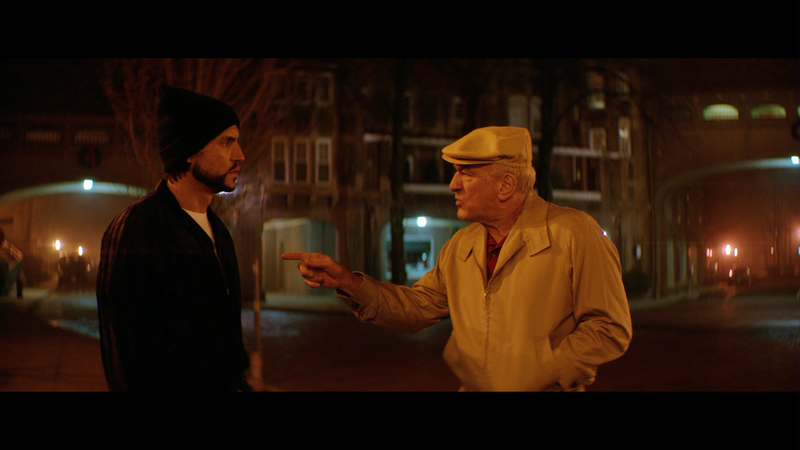 Deleted Scenes (10:42; HD) – There are 8 scenes that were trimmed or removed, likely for pacing issues. Last up are two Lyric Videos (2:26/2:32) for the song “Champions”, one featuring Usher and the other Ruben Blades. Anchor Bay releases Hands of Stone onto Blu-ray shown in its original 2.40 widescreen aspect ratio and given a nice looking, and sharp, 1080p high-definition transfer. Detail is well defined throughout and there is some natural film grain while colors are fairly vibrant while skin tones appear natural looking. The disc includes a decent, and at times robust, DTS-HD Master Audio 5.1 track. Given the 3-4 boxing sequences, it is a shame Anchor Bay didn’t upgrade to an Atmos track, but even so, the dialogue comes through the center channel with clarity while front and rear channels are generally reserved for ambient noises, or in the case of this movie, the roaring crowd. 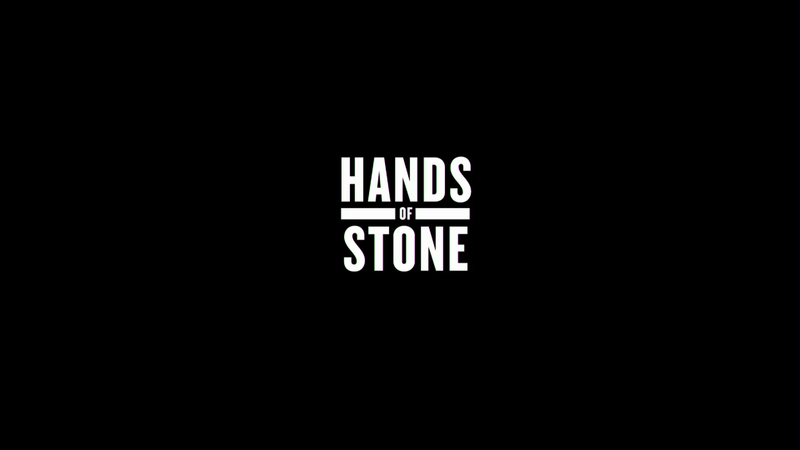 Overall, Hands of Stone isn’t a half-bad boxing drama biopic and yet by the end, I wasn’t exactly connected on any level with the story and outside of some nice performances, there’s not much that stands out. The Blu-ray released through Anchor Bay offers great video/audio transfers but the features are a bit lacking, unfortunately.